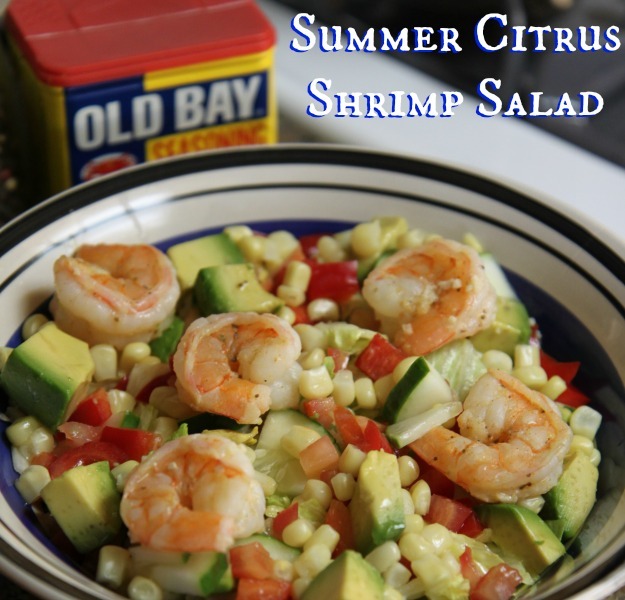 Summer + shrimp + citrus = This Salad. You know what I love? COLOR! The more variety in color on my dinner plate, the better. Corn on a salad in my new favorite thing. You could take this a step further and cook corn on the cobb on the barbeque, get those nice grill marks. I went with the much easier frozen corn this time because we wanted dinner pronto but BBQ’d corn on the cobb definitely screams ‘Summer’. 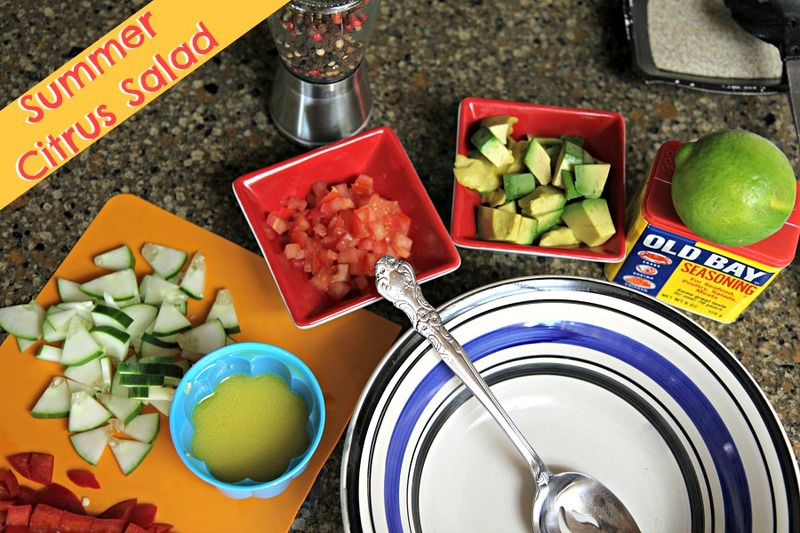 Cucumber, Tomato, Avocado, Bell Pepper, Pepper, Shrimp (sauteed in lime juice and Old Bay Seasoning) and unpictured corn. 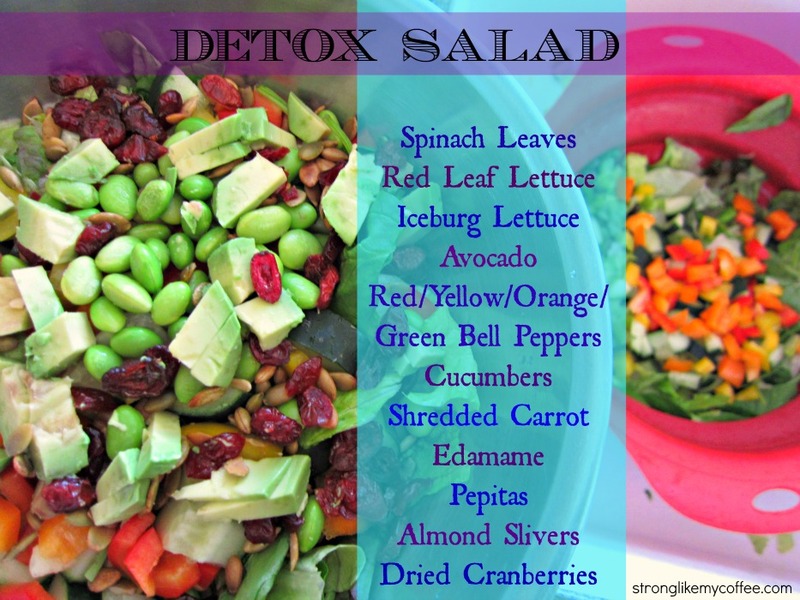 Top all the goodies on a bed of ice burg & romaine lettuce! Combine in a small container with a lid and SHAKE IT! 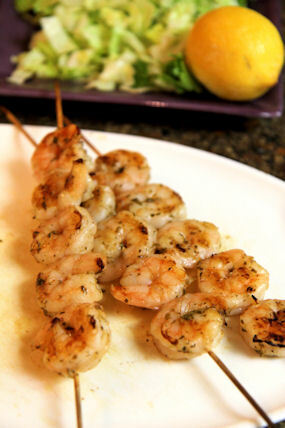 Posted on August 11, 2013, in Healthy Habits, Main Course and tagged clean eating, Dinner, healthy, recipe, seafood, summer salad, summer shrimp citrus salad. Bookmark the permalink. 2 Comments.